With decades of experience and knowledge, we have established over 6,000 stock products and have expanded our custom capabilities. 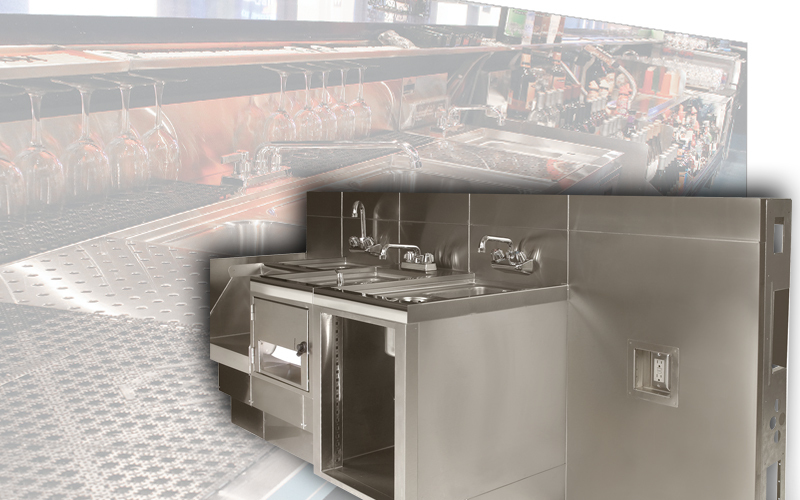 We offer products at multiple price points to ensure a solution for every project, on any budget. We have made customizing any product easy, by giving you the ability to choose from an expansive line of accessories and modifications for each product line. Click to learn more. 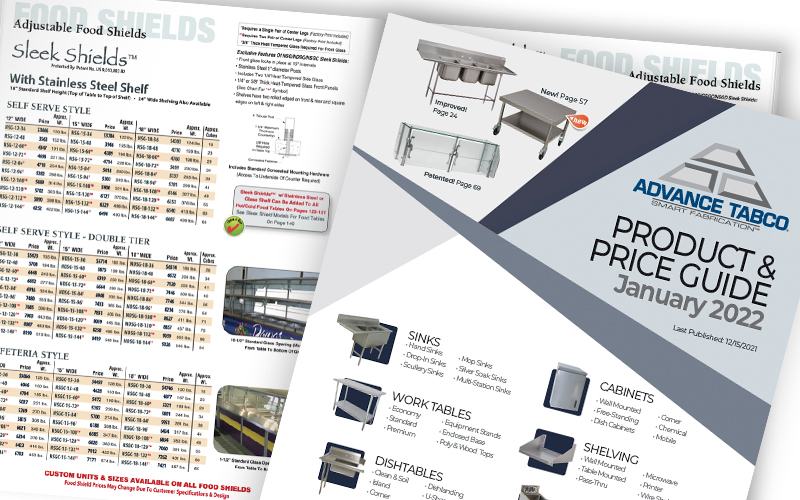 Browse through our eCatalog to view our standard products, accessories and modifications. Need a printed catalog? 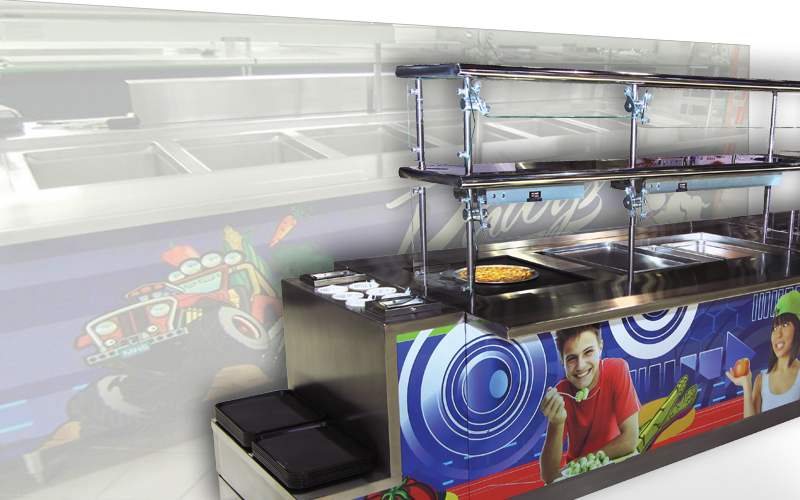 Let us help you design a unique cafeteria serving line, complete with vinyl wraps, food wells, LED lighting and more. Start with our standard products and add accessories or modify to meet your specific needs. Specifically made for our Prestige® Underbar Series, create a flush bar line up while maintaining access to wiring and plumbing. Check out our new Bargains Section! Large selection of Custom Equipment already bulit and ready to ship! Search around, add to the cart and get a quick quote! Design your own custom Work Table or Enclosed Base Table! 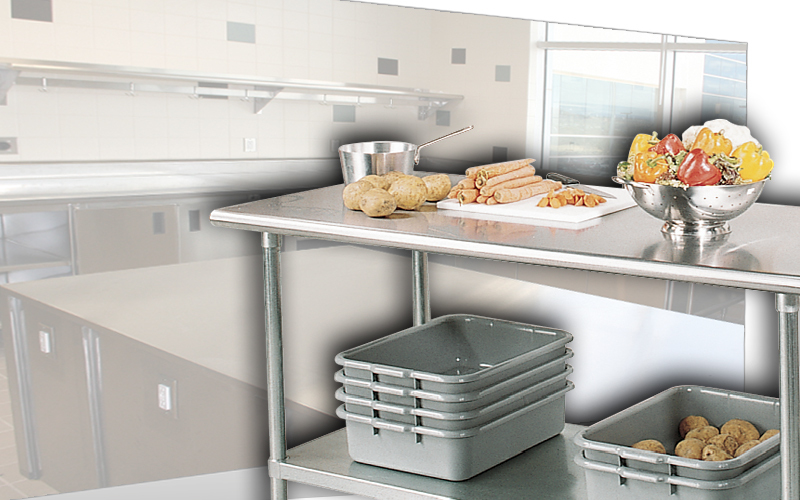 Design your own custom one, two, three or four compartment Sink! A quick reference page for everything you need in one convenient location.